Goodreads Summary: After a humiliating "sexting" incident involving a hot and popular senior, seventeen-year-old Dylan has become a social outcast—harassed, ignored, and estranged from her two best friends. When Dylan discovers the blogs of homeschooled fundamentalist Christian girls, she's fascinated by their old-fashioned conversation themes, like practicing submission to one's future husband. Blogging as Faith, her devout alter ego, Dylan befriends Abigail, the group's queen bee. But growing closer to Abigail (and her intriguing older brother) forces Dylan to choose: keep living a lie or come clean and face the consequences. I first saw this book on another blog's Waiting on Wednesday, and just from reading the synopsis I was very intrigued. Faking Faith tackles issues from friendships and relationships to religion, making for an interesting and compelling read. When I had to put this book down one night, I spent the next day wondering what else would happen, and when I could read it again I kept turning pages until the end. Dylan is an ordinary high school girl - she has her two close friends and secretly longs for the hottest guy in school. When he shows an interest in her, she quickly falls head over heels. Unfortunately, this leads to the loss of her two best friends and a sexting incident that lands her suspended from school. 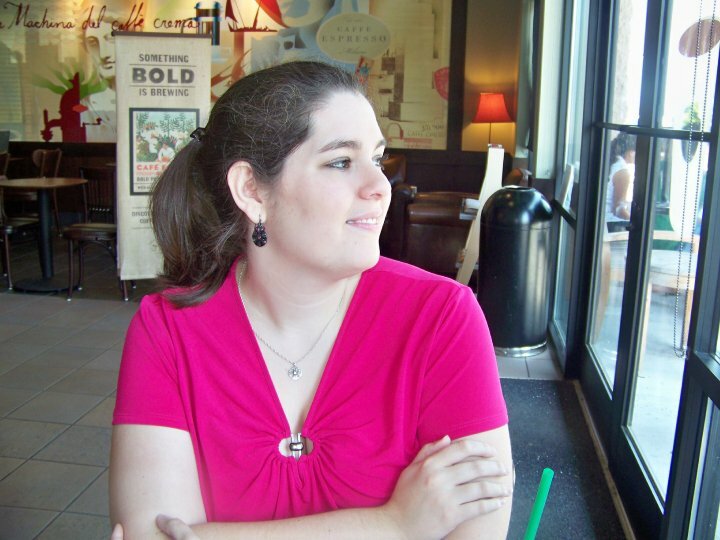 In her spare time, Dylan explores the internet and stumbles across the blogs of fundamentalist Christian homeschool girls. She finds herself drawn into this world, both because of how different they are from her and how strongly they hold these beliefs. Eventually Dylan creates her own blog under the name of Faith and begins growing closer to these girls. But when Dylan finally has the chance to meet Abigail (the girl behind one of the most popular blogs) and her family, Dylan finds more than she bargained for. Dylan is such a real character, and I really enjoyed reading about her. She made a few mistakes that ended up costing her so much, and even though these weren't the smartest decisions I couldn't help but feel sorry for how everything backfired. After everything that happened, I could see the appeal of her losing herself in another world. Like Dylan, I couldn't help but be intrigued by the things some of these girls wrote on their blogs...even if I do have very different opinions and beliefs. Reading about Abigail's family was like entering another world. They are not Amish, but the lifestyle seems very similar. There were aspects of their family life that I loved - their closeness and the way that everyone worked together - but there were also things that bothered me, particularly about their father. Then there was Asher. Asher, who had made mistakes (at least in the eyes of his family) that could parallel the ones that Dylan had made. I loved reading the interactions between these two. And let me tell you, if you think that a book so infused with religion can't have any kind of romance, think again. When I finished reading this book, I wished that there could be more - I would love to know how everything turns out for Dylan, Abigail, and Asher. 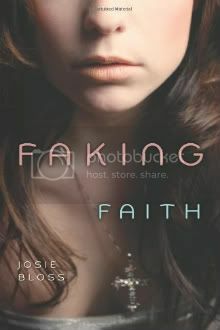 Faking Faith explores a variety of issues and presents two very different pictures of all of them. I enjoyed reading this book, but it made me think as well. I will look forward to reading more from Josie in the future! Wow, great review. I so want to read this book even more now.